Home / Archive by Category "File Mover Updates"
As you probably know, our File Mover has a built in ‘Simple’ HTTP Server. Simple because the HTTP Server was only used to serve the RunTime Log as html page in your browser and also some basic functions were available. 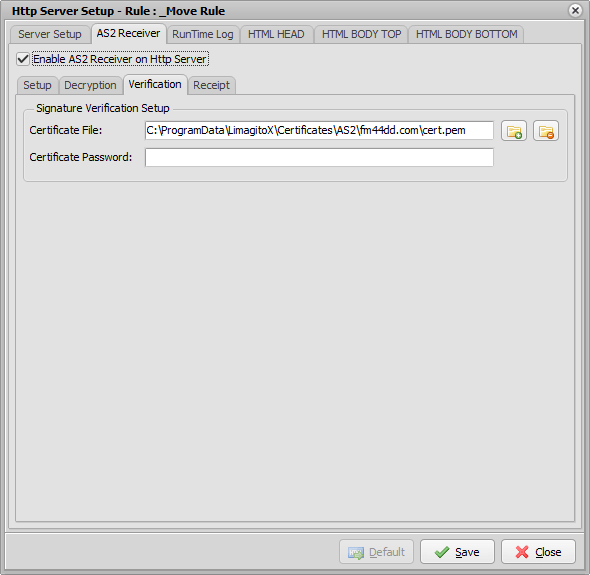 As this was deprecated by our Web Remote Tool, the idea was to remove the HTTP Server in one of our next releases. But .. this is not going to happen. We got a request from a user (hi Rian) to add a AS2 Receiver. 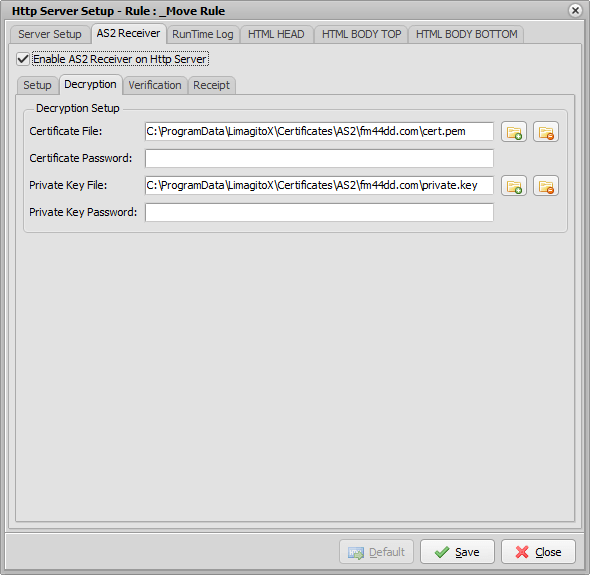 Since AS2 is HTTP we needed a HTTP Server. 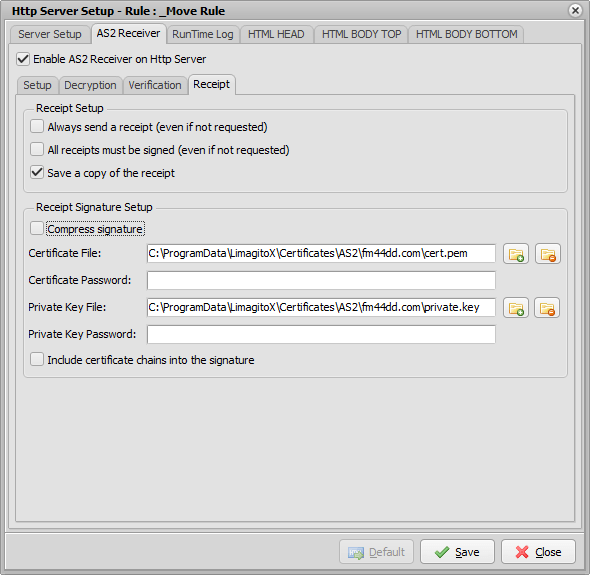 To use the AS2 Receiver option you first need to ‘enable’ the HTTP Server. 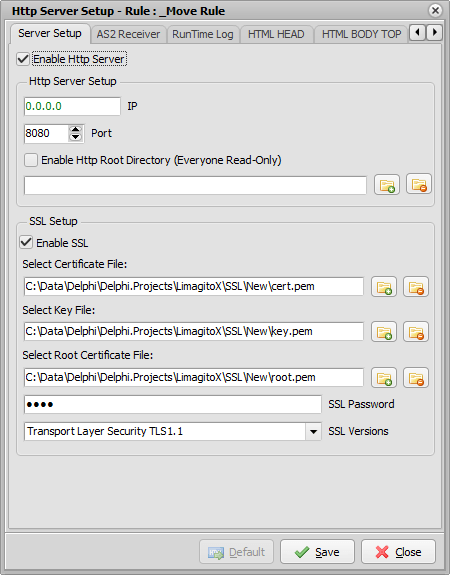 An option to enable SSL/TLS (HTTPS) is also available. 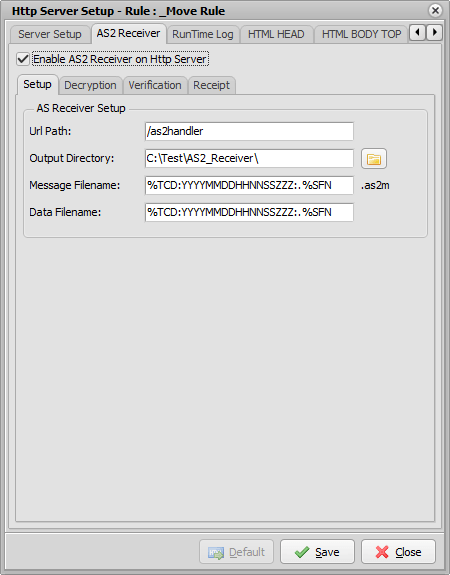 The AS2 settings are available in the ‘AS2 Receiver’ tab. Feedback would be, as always, much appreciated. Don’t hesitate to contact us. We don’t write bugs .. I mean not on purpose. We’ve decided to add an exception handler from an external company called madExcept (madshi.net). This will help us locating bugs if they do occur. In case of an unhandled exception, our application or service wil log this in a ‘.mbr’ file ([m]adExcept [b]ug [r]eport). These mbr files will be written to the log subdirectory of our file mover settings directory. Would be really helpful if you could send them to us.